[SatNews] "We had tremendous success with their equipment in our OB2 truck, which was Hungary's first large HD OB van, so the decision to incorporate the company's products into our new OB3 HD unit was quite simple." Riedel Communications, a provider of real-time video, audio, data, and communications networks, announced that Liga TV, Hungary's leading outside broadcast (OB) company, has equipped its newest HD OB van with a Riedel solution including the Artist digital matrix intercom, Acrobat digital wireless intercom, RiFace universal radio interface, and the country's first MediorNet real-time media network. With this robust and versatile communications solution, Liga TV is positioned to continue its expansion into production of high-profile international sports events. OB3 was fully supplied and integrated by Rexfilm Ltd.
"We had tremendous success with Riedel equipment in our OB2 truck, which was Hungary's first large HD OB van, so the decision to incorporate the company's products into our new OB3 HD unit was quite simple," said Zoltan Tihanyi, sound engineer at Liga TV. 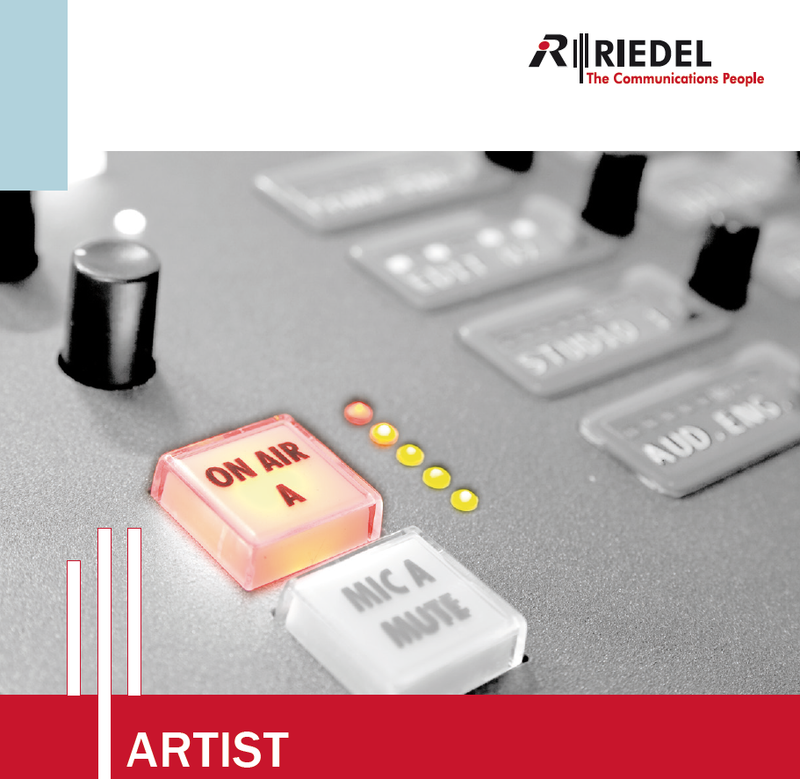 "The reliability, connectivity, and rich feature sets of Riedel intercom systems, as well as their popularity and widespread use, will be valuable as we extend our international activity." The Riedel solution in OB3 is identical to that installed earlier in OB2, with the addition of a MediorNet system that gives Liga TV valuable fiber-based signal transport capabilities. When more than one truck is required for a production, Liga TV can use OB2 and OB3 in tandem, connecting the two Riedel intercom solutions to serve as one. "With OB2 and now OB3, Liga TV has implemented the advanced production technology necessary to meet international broadcast standards, as well as the requirements of the most demanding events and customers," said Thomas Kloiber, international sales manager at Riedel Communications. "The Riedel gear installed in these units assures that as Liga TV continues its growth, it also will be able to maintain the clear, flexible communications that are critical to high-end productions." In addition to broadcasting matches from Hungary's national football league, the OTP Bank League, Liga TV has completed international projects including production of various UEFA championship games, the LEN European Swimming Championship, and the KHL All-Star Game. Further information about Riedel and the company's products is available here.